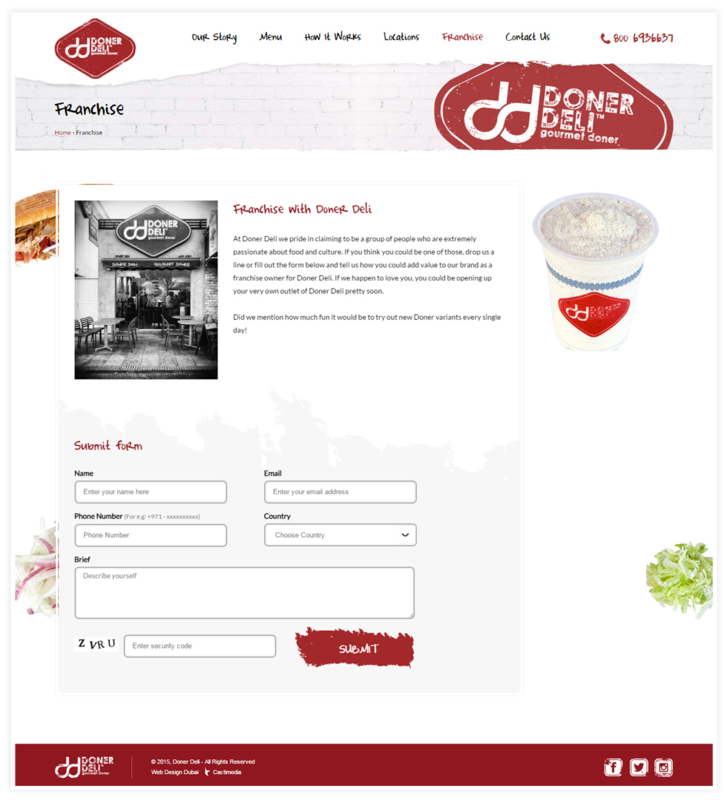 Doner Deli brings the German doner to the UAE. The website was designed and developed by the craftsmen at Cactimedia with the branding objectives, niche and market in mind. 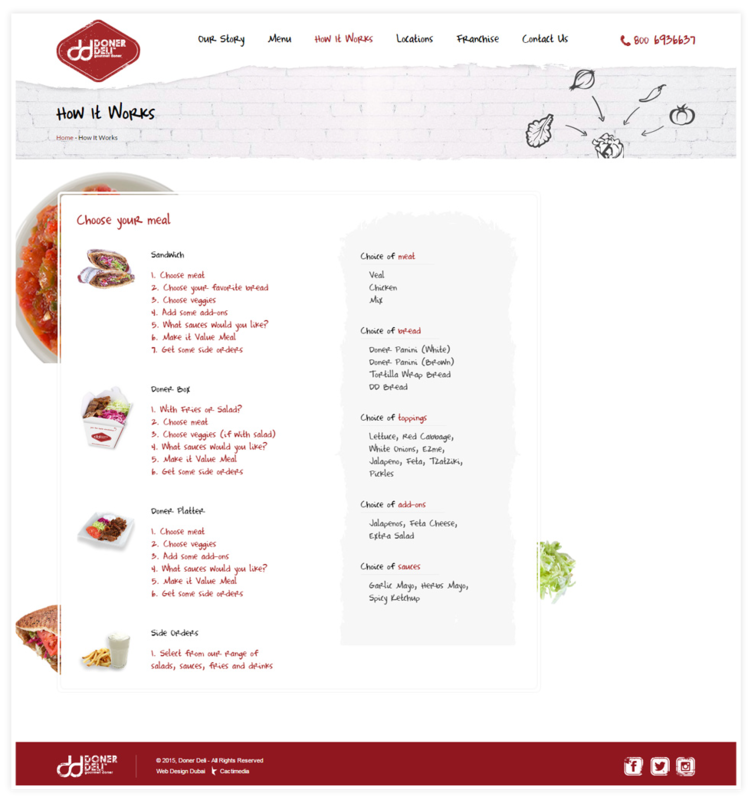 The website has been designed to be simple yet creative with a modern use of colors and spacing throughout the website. 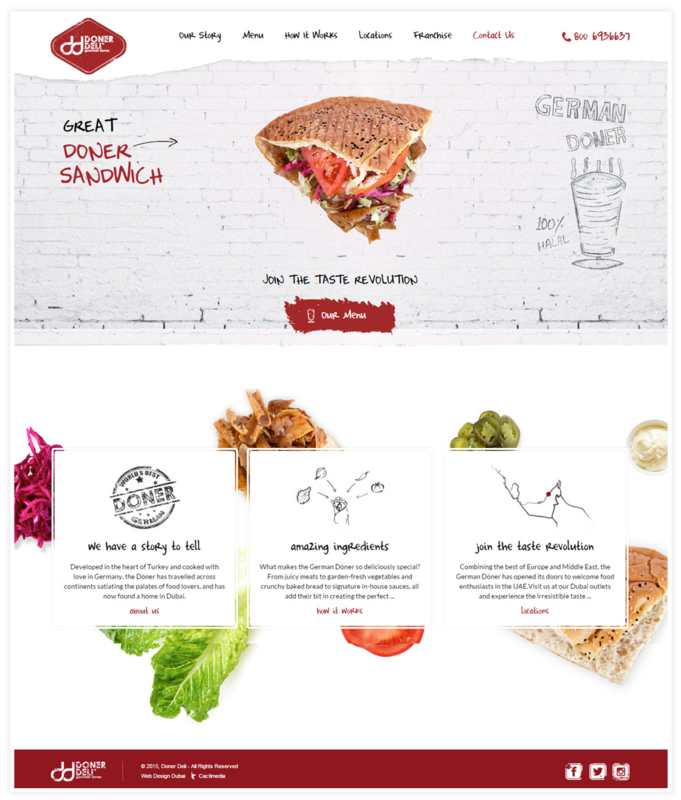 On its website the brand says “Döner Deli takes a step forward with a more contemporary approach in the items we offer. 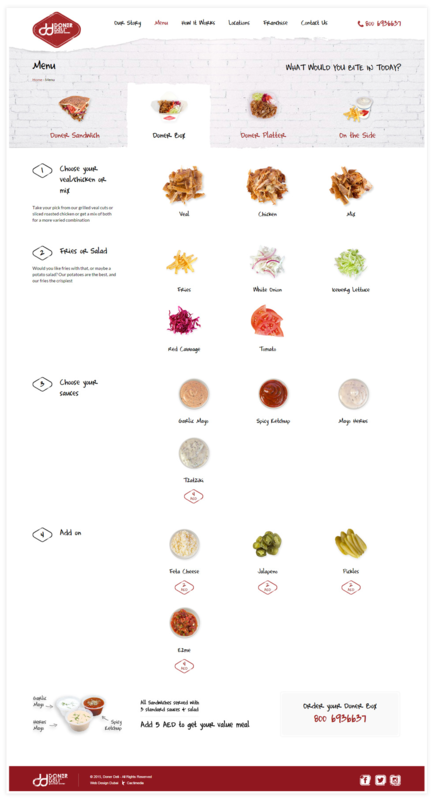 Instead of a classic sandwich, our chefs give you the option to get a little creative with a Döner box or a Döner platter. 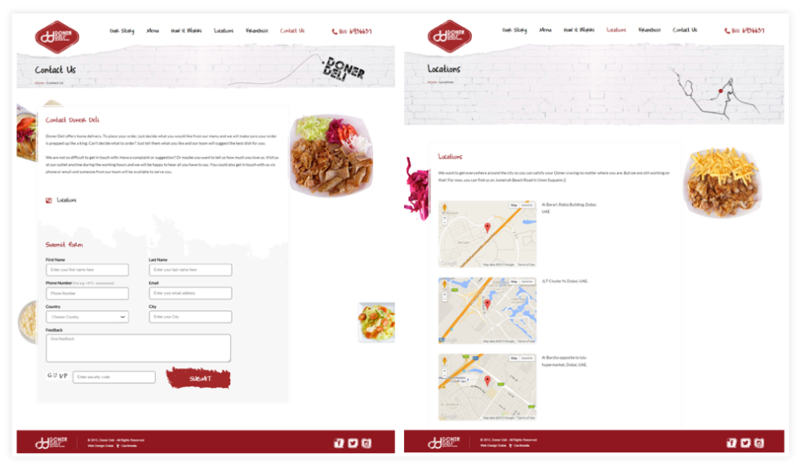 Served with fries or salad and our signature sauces, they step out from the limitations of a wrap while maintaining the same deliciously German taste.” As usual, the team at Cactimedia kept the branding and the user experience in mind when building out the website and the site contains a catchy top menu, a beautiful background and quick links to the About Us page, the Ingredients page and its locations page.